Stormclouds gather over Greenethorpe, in the NSW central-west Weddin Shire, last week, one of many cropping districts in eastern states where growers are keen to keep planting early winter-grazing crops. PRICE movements for grain have been mixed in the past week ahead of expectations that the tail end of ex-tropical cyclone will carry rain into cropping areas in Queensland, New South Wales and central and eastern Victoria. Central Queensland, and grazing areas to its west, have had the best of the falls in the 24 hours to 9am today, with 151 millimetres recorded at Clermont, 40mm at Emerald and 26mm at Springsure. On the Darling Downs, Western Downs and Maranoa in southern Queensland, the sorghum market has softened amid minimal growing selling, with rain so far being light and patchy. In the April-May delivered Downs sorghum market, prices have fallen $5 per tonne since last week to around $355/t. “The market’s a little bit softer, but the farmers aren’t selling much,” Dalby-based Horizon Commodities manager Aaron Jones said. The forecast for around 10-25 millimetres in NSW, and more in Queensland, in coming days has the drought-feeding market hopeful that pastures will regenerate, and widespread early sowing of dual-purpose crops can start. The Brisbane grain market is quoted at $410-$415/t free on truck (FOT), up from last week, when it was trading within a few dollars of $400/t. Barley prices FOT Brisbane have also risen, up from around $360/t last week to $370-$375/t this week. 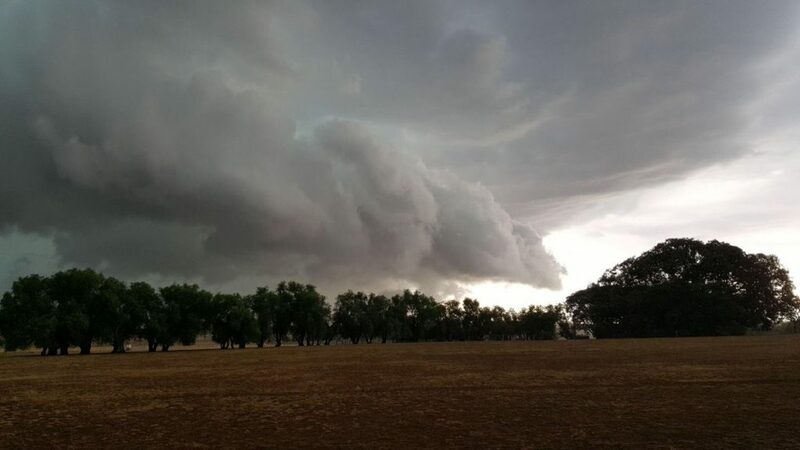 The past week has seen falls over much of the NSW grainbelt of 5-20mm, and more on the central tablelands, and Wagga Wagga-based AgFarm account manager Matt Noonan said some growers were looking to plant early wheats like Wedgetail and Kittyhawk, as well as oats. Those farming on lighter soils have already dry-sown small areas of winter cereals, and are ready to plant more on the next rain. “Wheat and barley seems to be trading sideways week on week as we wait to see what happens with the weather,” Mr Noonan said. Trade sources have said growers in southern NSW were looking at choosing crops and varieties which gave them a graze, grain and hay option and could be planted early. Grain Link Australia trading manager Graham Allen said current-crop wheat and barley markets were “ticking along unchanged”, and growers were hopeful that 40mm of rain forecast by the most optimistic of models came to fruition in coming days. “The primary coarse-grain market is still the drought-feed market,” Mr Allen said. Wheat for prompt delivery into the Griffith region has been changing hands at around $405-$410/t, and while some feedlots were using barley, Mr Allen said most were primarily using wheat in their rations. Traders have described markets as illiquid, and trading off various execution points including ports, where grain from Western Australia continues to arrive, and railheads as far north as Parkes, where grain from South Australia was being unloaded. Sorghum from the Darling Downs and the Liverpool Plains has continued to move south by road in limited volume. Maize straight off the header is making its way into NSW feed markets, and finding particular favour for breeding ewes and stockfeed millers as far away as Sydney. The Riverina feed maize market has been trading at $460-$465/t, which compares with a delivered Melbourne price for maize from Victoria’s Murray Valley of $470-$480/t to demonstrate how tight feedgrain supplies have become in NSW. Rain has stalled new-crop cottonseed markets, and values generally have dropped by around $10/t in the past week. Trade sources report the new crop cottonseed market’s liquidity has dried up because potential buyers have stood aside to see what the weather pattern brings. The inverse, or premium for current-crop over new-crop, has virtually disappeared, with bid/offer spread on the May-August delivered Darling Downs market now quoted either side of $600/t. In Queensland, CQ gins are operating and St George just coming on-line now; end-March early April loads free on truck (fot) St George have been offered at $600/t. Offers ex Darling Downs gins have been sitting at $615/t, with seed available from the commencement of ginning in coming weeks.